In his continuing efforts to “drain the swamp,” President Trump has decided to utilize the services of a home improvement contractor married to one of Melania Trump’s household staff as an official at the Environmental Protection Agency, according to a report on Politico. Presumably, the President thought a home improvement contractor would know how to deal with the severe environmental issues that a festering swamp engenders. Having a relative of his own household staff at the EPA will surely help with the cleanup he must have reasoned. On Dec. 18 Steve Kopec joined EPA’s Region 2 office in New York as a special assistant, according to a memo obtained by Politico. Mr. Kopek’s previous experience had absolutely nothing to do with the environment or protecting it. Kopek ran a contracting business called “Steve’s Tools in Motion” from his home in Haskell, New Jersey. His wife, Dagmara, worked as household staff for the Trumps when they lived in New York. Trump has installed his daughter Ivanka and her husband Jared Kushner into senior White House positions despite their lack of government experience (or final, properly vetted security clearances for that matter). 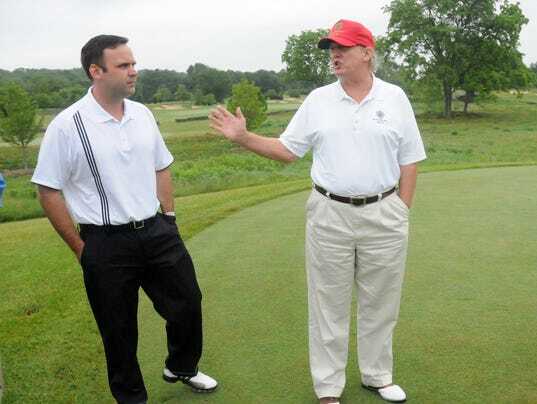 His former caddy Dan Scavino is now White House Social Media Director. A former party planner for Eric Trump’s wedding, Lynne Patton was installed to lead the New York office of the Department of Housing and Urban Development. The general counsel of the Project on Government Oversight, Scott Amey, says that many administrations from both parties have made hires more motivated by politics and friendship than by qualifications, but that the practice can backfire when unqualified people are installed at federal agencies. Mr. Kopek and his wife are Polish immigrants, a country that Trump apparently doesn’t consider enough of a shithole that he should try to send them back to it. He often goes by his Polish name, Slawomir, according to Politico. Another EPA official said that Kopec can speak four languages and travels multiple hours a day to the EPA office in New York from his home in New Jersey, which makes one wonder why he wasn’t given a position at the State Department instead of the EPA. Hope he has fun helping drain those swamps.